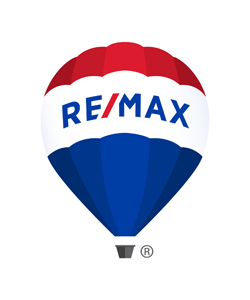 RE/MAX First Choice is owned by Tammi and Luke Reeder who have been a part of the real estate world for nearly 20 years. As life long Baltimore County residents, Luke & Tammi are very knowledgeable about local real estate. RE/MAX First Choice opened their doors in April 2007 and are on their way to a decade of service. Due to enormous growth, they moved their office to a larger facility in only their second year. Their productivity has grown tremendously each year. In October of 2015 ownership was expanded to a second branch office in Nottingham Maryland, their partner in this office is Rick Nelson, a well know powerhouse team leader within the residential sale industry. RE/MAX First Choice has the #1 Residential Foreclosure & Short Sale Team in Maryland. They also have an outstanding commercial property team who was ranked #34 in the top 50 U.S. Team Leaders for Commercial Sales. RE/MAX First Choice provides itself in the integrity and honesty of their agents. And the diligence and support of their executive team. They have built a business around these characteristics. Primarily serving Baltimore County, Baltimore City, Harford County, Howard County, and Anne Arundel County. Both locations are conveniently located I-695 and I-95 corridor. Their presence is well established in the Baltimore community and it is one of their goals to continue the growth of their relationships. Although dedicated to helping our buyers and seller obtain the best service possible with every real estate transaction, they see their Agent Associates as their real clients and do everything in their power to support them. From state of the art training with their proprietary KNOW TO GROW 13 step program to utilization of state of the art technology, to agent support systems, and supervision second to none. Our agents are the best in the industry and we treat them as such! To help our RE/MAX First Choice Agents to lead successful lives. RE/MAX First Choice delivers a positive, productive, and profitable office that cultivates your personal level of success. If we consistently do the right thing, our success is inevitable. We believe there is no growth without discomfort. We believe in a culture that promotes better before bigger. We believe if you want to accomplish something great we must first expect it from ourselves. Empowerment: Leverage is the key to momentum. Personal Growth: Life is 1% what happens to you and 99% how you respond to it. Integrity: People will trust you and follow what you can logically and tangibly explain.